Now that school has started, I need to be on campus more often (read; in the library). Being out and about means I wont have time to prepare all of my meals in the morning. This can mean only one thing; meal prep. So disclaimer, I’m far from the best at meal prep, but I’m really trying to up my game this semester. Why? 1. Purchasing groceries and cooking at home is both cheaper and more environmentally friendly! It means more money in your wallet, and less plastic utensils and containers being used. 2. 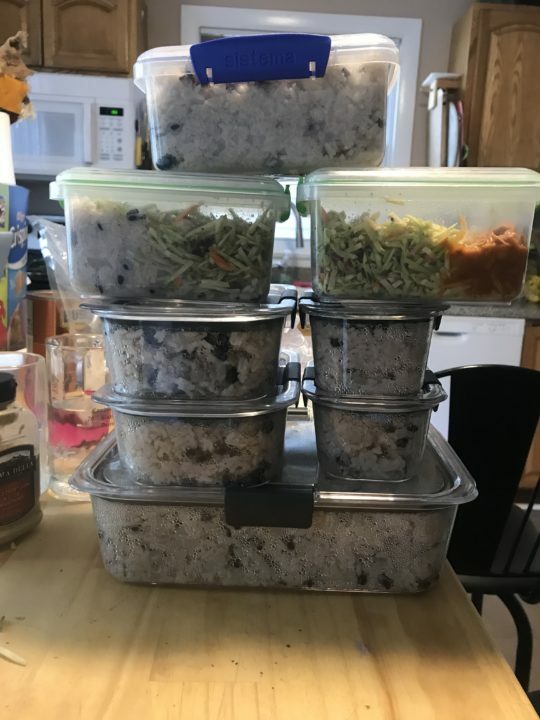 Prepping meals means you need a lot of containers. By using reusable containers, you can cut down on plastic/single-use item usage, and less of that means a happier planet. Plus, then you don’t have to buy more containers! 3. You have control over exactly what goes in to your body. You make the food, set the amounts, pack the food. It is a great way to stay healthy, in both quantity and quality. 4. Fresh foods from the farmers market beat plastic bag vegetables any day. 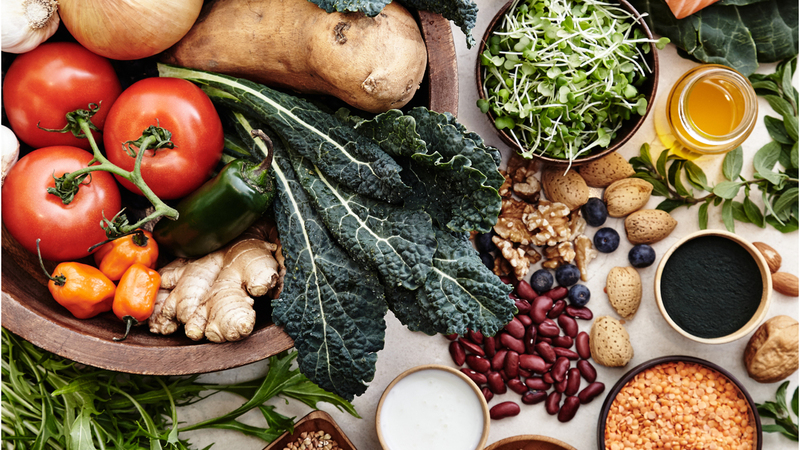 Bring a reusable bag to your local farmers market and fill up on the good stuff, without the waste of the pre-packaged items from the supermarket. 5. In theory, meal prep should save time. I spent three hours making enough rice to (theoretically) feed me all week. Now, I can use the time I would usually be cooking duringthe week to catch up on work or sleep!